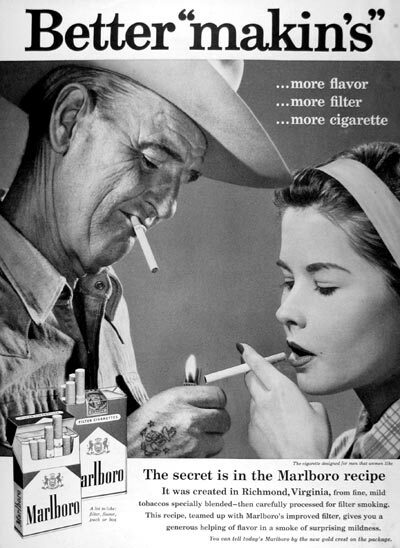 1959 Marlboro original vintage advertisement. The secret is the Marlboro recipe. The cigarette designed for men that women like.